Farmers have called for action following a spate of raven attacks on newborn lambs. Russell Pearson, who farms in South Brent, Dartmoor said he had been shocked by the number of ravens flocking to his fields. However, as ravens were classed as a protected species, there was little he could do to control the birds. He said: “When the lambs are born the ravens tend to gang up on the weaker one like lions with a zebra. I have never seen so many. “They pluck the tongues out when they are alive and target their tails before pulling then their intestines out. Last year Scottish farmer Danny Bisset launched a petition to remove ravens from the protected species list. He called for the common raven to be added to the Scottish Natural Heritage’s general licence to allow the taking or killing of certain birds for the prevention of serious damage to livestock. Mr Pearson said his neighbours were experiencing a similar situation with ravens flocking in double figures and said they feared further attacks. “Fortunately we have finished lambing now but there are still around 20 lambs in the field,” he added. “Three miles away from here the farmers have had nearly 100 ravens attacking the lambs." National Sheep Association chief executive Phil Stocker said raven attacks had become a UK-wide problem. "The problem has become worse with an expansion of raven numbers and distribution, and also the shift towards outdoor lambing," said Mr Stocker. "Like other species a proportion of the raven population will develop behaviour that comes from prey opportunities, and once a tasty meal is found birds will go back for more." Mr Stocker sad the NSA had discussed the problem with Natural England. "As a result we are aware of a small number of cases where sheep farmers have successfully applied for a licence to control raven damage by way of shooting an agreed number," he added. 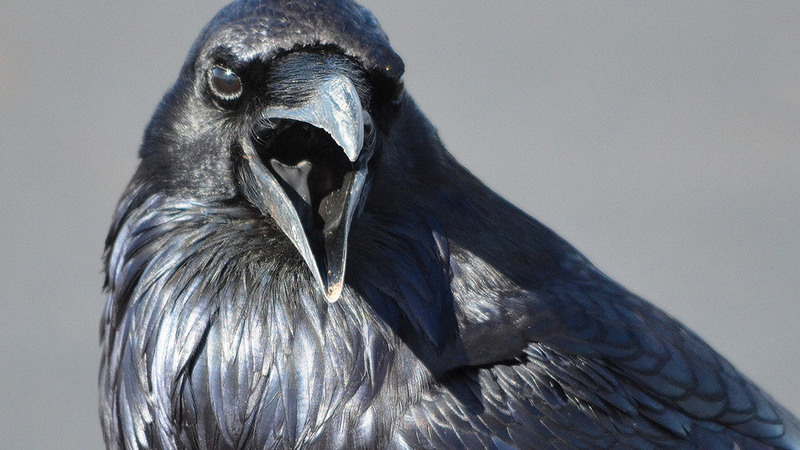 "We welcome this measure in instances where ravens are causing significant problems and would like to see this approach discussed more widely in relation to protected species generally."